A scrappy, curly-haired Alabaman who spoke with a Southern drawl, Finney stood 6 feet tall and weighed 180 pounds; batted from the left side; and threw from the right. He spent 15 years in the major leagues between 1931 and 1947, and fanned just 186 times in 4,631 at-bats, or only once for every 24.9 official turns, one of the 50 best ratios in major-league history. A .287 career hitter who hustled whenever he was on the field, the fiery Finney slugged just 31 big-league home runs, but hit 203 doubles and 85 triples. At his best in his natural position, right field, Finney also played first base for Mack and Cronin. Most often a reserve, Finney still appeared in 100 or more big-league games in seven seasons. He was highly competitive and loved to needle opponents. Louis Klopsche Finney was born on August 13, 1910. Lou left high school to follow his brothers to Birmingham Southern, but quit after he fractured both legs in a football game. He returned home and earned his diploma from Five Points High, where he starred as a third baseman for the baseball team and lettered in football and basketball. Mack purchased the young Alabaman's contract for the season's final weeks. Just a month past his 21st birthday, Finney made his big-league debut for the Tall Tactician on September 12, 1931, against the St. Louis Browns. The Athletics were in the midst of a 19-game home stand, and Finney appeared in nine games and rapped out nine hits, including a triple, in 24 at-bats. He scored seven runs and drove in three in his three-week stint. Finney spent the 1932 season with the Portland Beavers of the highly competitive Pacific Coast League. Often called the Third Major League, the PCL boasted a number of future and former major leaguers. Two of the best in 1932 were Finney and fellow Philadelphia farmhand Michael Franklin "Pinky" Higgins, both of whom made The Sporting News’ All-PCL team. One or the other was among the league leaders in every offensive category to propel Portland to the PCL pennant with a 111-78 record. Finney finished third in the league's Most Valuable Player voting. Still 22 years old, Finney rejoined the Athletics and his Portland teammate Higgins, who was Philadelphia's third baseman in 1933. Finney enjoyed a splendid spring training and was viewed as a replacement for Al Simmons, one of baseball's all-time great outfielders, whom Mack had traded to Chicago before the season. When the regular season started, Finney was hot. But he was nervous and quickly cooled off, and Mack sold his contract with the right to recall the outfielder on 24 hours’ notice, to Montreal of the Double A International League. There, Finney hit .298 with 23 extra-base hits in 65 games. His second home run for the Royals came on his last at-bat, on August 15, after Mack notified Montreal to return Finney to Philly. The sudden recall derailed the Royals’ playoff hopes and created friction between Montreal and Mack. Back in Philadelphia, Finney continued to hit well. Between seasons, there were rumors that Mack would trade the youngster to Boston, but when the 1934 season opened; he was Philadelphia's fourth outfielder behind Indian Bob Johnson, Doc Cramer, and Ed Coleman, and sometimes spelled slugger Jimmie Foxx at first base, roles he reprised the next year. Finney played in 201 games in 1934 and 1935, batted .276, and though he hit just one homer in the two seasons, he smacked 22 doubles. The Alabaman was a valuable stopgap for Mack in those two seasons. When Higgins was hurt in 1934, Foxx moved to third and Finney held down first, and when rookie Wally Moses crashed into a fence and was injured in 1935, Finney moved back to the outfield. In 1935, Mack sent Foxx behind the plate 26 times and played Finney at first, but a spate of Athletics injuries nixed the experiment. Mack continued to feel the effects of the Depression and declining attendance at Shibe Park, and dealt the powerful Foxx to Boston before the 1936 season for players and cash. Rookie Alfred “Chubby” Dean (77 games) shared the first-base duties with Finney, who also played the outfield in 73 games. 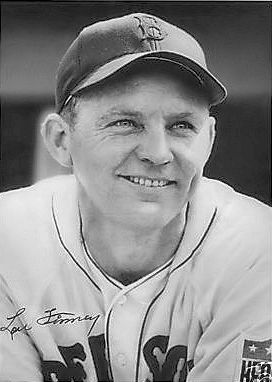 Despite Finney’s fine season, he and Dean split the first base duties in 1937. (Dean, a lifetime .274 hitter, later unwisely moved to the mound and compiled a 30-46 record and a 5.08 ERA as pitcher.) Finney did play 50 games at first in 1937, made the only appearance of his career at second base, where he recorded an assist, and played 39 games in the outfield. Bouncing around the lineup and battling an ailment he picked up in Mexico in spring training, a hernia, a chronic sinus infection, and later, appendicitis, he saw his average slip to .251. He hit another round-tripper, again inside the park, his sixth home run in six major-league seasons. With 10 days left in the regular season, Finney, with Mack's consent, returned home to Alabama and underwent surgery on his sinuses, had a hernia repaired, had the inflamed appendix that had bothered him for months extracted, and had his tonsils removed. Healthy in 1938, the 27-year-old “Alabama Assassin” enjoyed a power surge when he slugged 10 home runs – with nine of them clearing the fences. 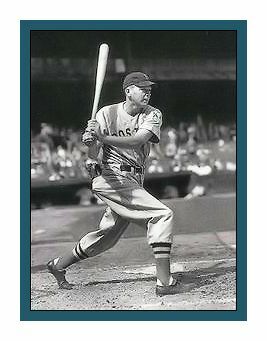 In 1939 Siebert started at first base and Finney batted just .136 in nine games before Mack sold him to Boston on May 9. The Alabaman enjoyed great success as a pinch-hitter – he led the AL with 13 pinch hits in 40 at-bats -- then finished the season at first base after Foxx underwent an appendectomy. However, his Alabama draft board tracked Finney to Boston in August, and delivered notice that he had been called to active duty and was required to report for a medical examination. Again Finney returned to his farm. While Finney farmed through the first half of the 1945 season, the Allied nations subdued Germany in May, and moved closer to victory in the Pacific over Japan. Once again, Finney journeyed north to rejoin the Red Sox. Cronin, who broke a leg on April 19 and hadn’t played since, inactivated himself to open a roster spot for Finney on July 15, but used the Alabaman just twice, both times as a pinch hitter, before the Red Sox sold his contract to the defending American League champion St. Louis Browns on July 27, 1945. Less than a week later, with his major-league career done, Finney returned to the minors, this time with St. Petersburg in the Class C Florida International League. With the Saints floundering in last place and 17 games behind in the standings, his old teammate Jimmie Foxx was fired on May 17. Finney took over a few days later as a player-manager and guided St. Pete to a 71-80 record, good for fifth in the eight-team league. Lou ran the family firm for the remainder of his life with Hal. Like Lou, Hal broke into the major leagues in 1931. That year he played 10 games; six at catcher and four as a pinch-hitter, for the Pirates. He played 31 games the next year, and 56 in 1933, when he hit his lone homer and drove in 18 runs. He played in five games in 1934, spent the rest of that season in the minors with the Albany (New York) Senators in the International League, missed the 1935 season because of a fractured skull and an eye injury suffered in a tractor accident and started the 1936 season without a hit in 35 at-bats before the Pirates released him. The brothers worked together in Chambers County until April 22, 1966, when Lou, at the age of 55, suffered a coronary thrombosis, a blockage of a coronary artery, and died at the Chambers County Hospital in La Fayette.